The drive from Montlouis to Vouvray took us past the famous troglodyte residences built into the tufa (soft limestone) cliffs that follow the Cher and Loire rivers. 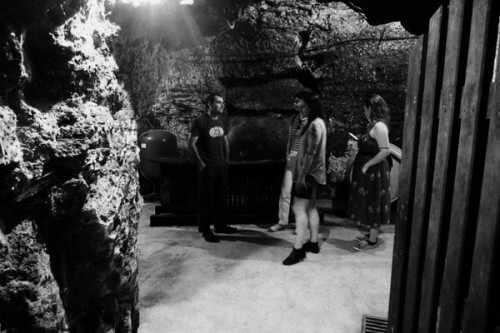 Here, homes and wine cellars have been built into caves that were created when limestone for building was extracted. They are quirky and wonderful. 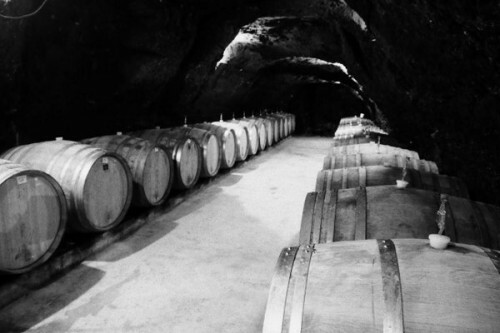 For winegrowers who own one of these caves, they make ideal cellars. 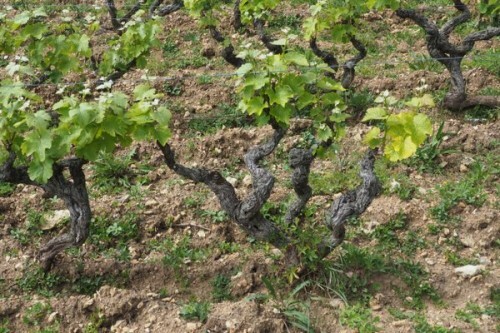 They are naturally cool, which means nice slow fermentations, reduced risk of brett (for reds), and good storage conditions. They are also quite damp, which results in mould growth but also very little evaporation, and much reduced need for topping up of barrels. 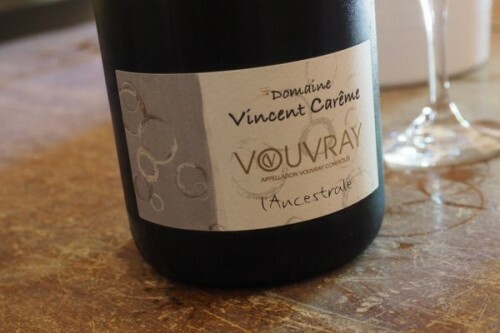 Our visit in Vouvray was with Vincent and Tania Carême. Vincent is local, but not from a wine-growing family, while Tania is from South Africa. 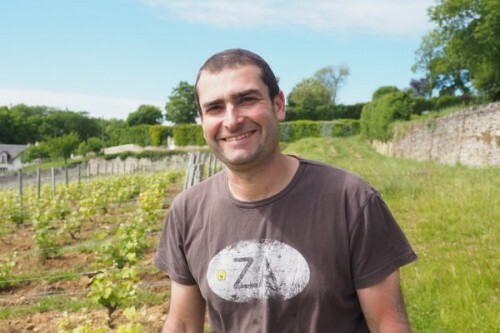 Vincent’s first vintage was 1999, but in 2004 he bought the property that currently doubles as family home and winery, with nice underground caves as barrel cellars. 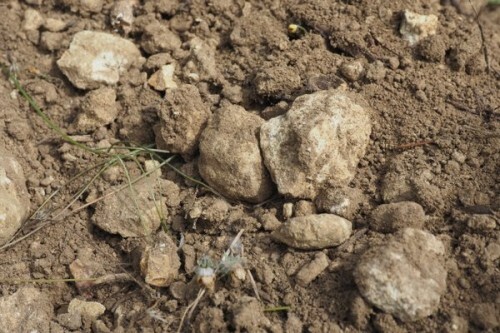 At the same time, he also bought a superb vineyard that he’s partially replanted: Le Clos de La Roche Vouvray. 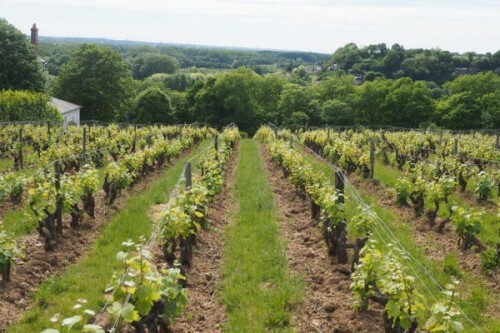 They farm 17 hectares of vines, and also buy in some grapes for the ‘Spring’ cuvée. Farming is organic. We took a walk around the vineyards, and then went back to the cellar for some tasting. Afterwards, Vincent and Tania prepared some rillettes and terrine for us, and we sat, drank and chatted, while their two energetic boys and wire-hired daschund ran around us. Vincent and Tania also make wine in South Africa, and it’s pretty good. 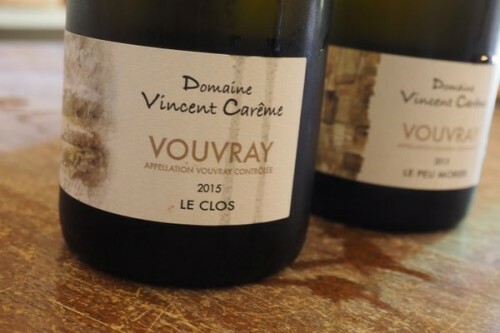 Apart from his South African red, this is a 100% Chenin Blanc domain.